In: UNILAG Convocation Ceremony Programme of Events – 2018 !!! 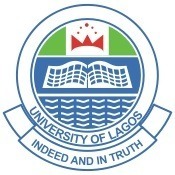 UNILAG Convocation Ceremony Programme of Events – 2018 !!! The entire University Community, the general public, parents, guardians and in particular the 2015/2016 graduating students are hereby invited to the 2018 UNILAG convocation ceremony. Venue: – Open Field Sports Centre, University of Lagos, Akoka, Lagos. Higher Degrees of the School of Postgraduate Studies, as well as Best Researcher Award and Conferment of the title of Distinguished Professors & Emeritus Professors.